The £5m VENTURER project has released its final report, detailing key research results that challenge developments by major global companies. The three-year project explored the barriers to the adoption of connected and autonomous vehicles (CAVs) in the UK and how best they could be overcome. 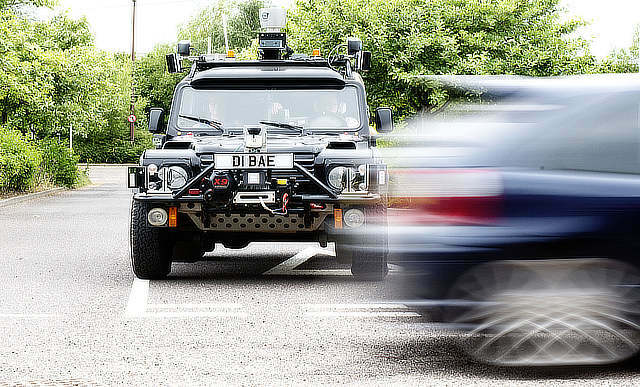 Over 200 people took part in the VENTURER trials, which established a safe testing methodology using both simulated and controlled road network environments. This demonstrated that simulation could be used to assess user responses to driverless technology in a wide variety of settings. However, more research is needed to better understand the impact that the introduction of driverless cars could have on traffic flow and the operation of the wider transport network – including an examination of planned handover at higher levels (Level 4+) of autonomy. The trials also revealed a preference for driverless car algorithms to be more cautious on the road, which could have significant implications for the future of the UK transport network. If they drive more cautiously than the average human driver, they may create a trafﬁc-calming effect on the network, resulting in safety beneﬁts where there are both autonomous and manually driven vehicles. One interesting result was that users were most willing to use and pay for an individual driverless vehicle and the least willing to use and pay for a shared driverless vehicle such as a ride-sharing service like Uber. This finding is contrary to the plans of companies in the US such as Google’s Waymo that are already operating ride-sharing schemes using driverless cars. The VENTURER findings informed the development of the Automated and Electric Vehicles Act 2018, a key piece of legislation required for the wider adoption of driverless cars in the UK.